I think we've had enough about what I eat for breakfast and what I want to be when I grow up for now. 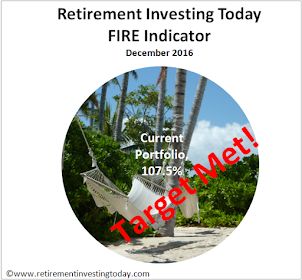 Let’s get back to what this blog is all about – an unrelenting focus on Saving Hard and Investing Wisely to enable Early Retirement in my case. Your end game could of course be different. I work hard for the money that I earn. Given how much effort I've put into acquiring it the least I can then do is now put a bit of effort into retaining as much of it as possible. Why? Well, now that I have some money in my pocket I'm up against millions of people and corporations trying to extract as much of that money from me as possible. It’s nothing personal but just the way it is. Importantly, it’s also not just the big purchases. I’ve found that sweating the small stuff is possibly more important because leakages here often have very little impact on your health and wellbeing. So why at this stage do I want the minimum extracted from me while still living the life I want to live? For me it’s not emotional and is simply by learning how to spend less I can save more which is then an enabler to help me FIRE faster (Financial Independence Retire Early). Seven and a half years into my journey I'm at the point where this is probably the most important lesson I have learnt thus far. Sure earning more helps but that just helps accelerate you to the goal posts and minimising investment expenses/taxes also helps but I’ve found savings have had a bigger impact on my wealth creation so far as the short time I have given myself to accrue the assets to FIRE don’t get much time to compound. Spend less and two things occur which is why it is a critical element – it both moves you more quickly towards the goal posts but also moves the goal posts towards you. I already have a method that I use to help me through the spending decision making process but one part of this really hit home to me while in my local Tesco’s recently – “...is this purchase giving me the best value for money”. We need to really understand what brings Value to us and our families and not what brings Value to others around us or worse perceived Value based on corporate marketing if we are to succeed. Now for the same initial outlay you’re only paying £1.21 a kg. Spend per gram of beans has more than halved. So it made me think, what Value can this person see in the Snap Pots that I can’t? To be honest I struggled. It’s certainly not the quality of the beans as they’re identical. 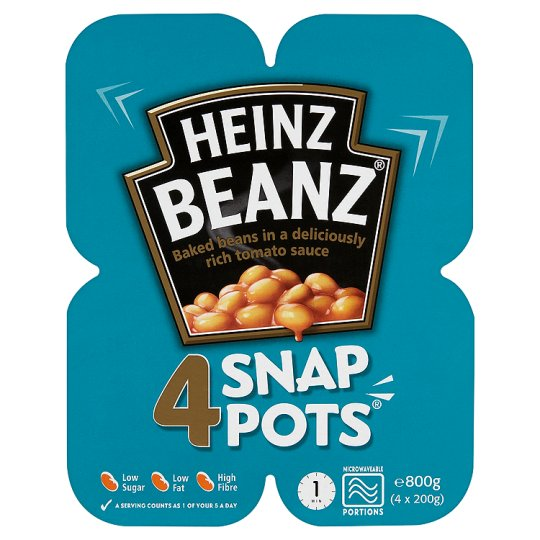 If they were into keeping up with the Jones’s then the Snap Pots provide no advantage as both are Heinz. The best I can come up with is the time saved to open a tin, the portion size is more appropriate and/or they will be taken somewhere (school?) with no access to a can opener but I struggled even with these as the tin opening process takes seconds and a small storage container will take the last 2 benefits away. Of course I may have missed some great Unique Selling Point (USP). If I have do please drop a Comment below and let me know. My choice is costing me £0.57 per kg vs our Snap Pots punter at £2.50 per kg. Of course saving that £1.97 difference is not going to enable you to FIRE but multiples of these savings plus time just might. Let’s run a quick simulation. 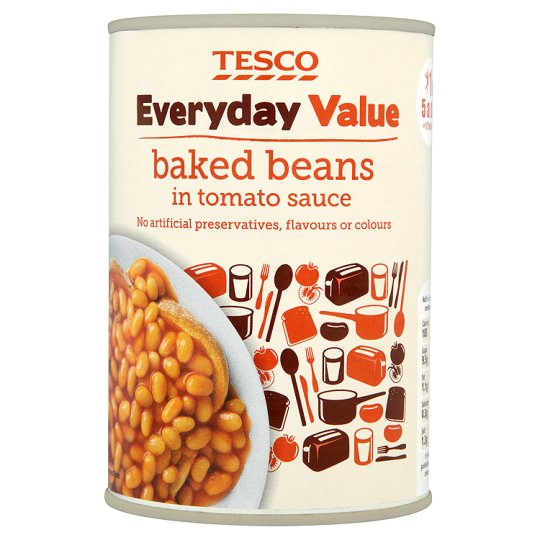 Instead of buying the Snap Pots at £2.00 they buy 2 of my beans of choice for a total £0.48 (I know it’s not quite weight equivalent) for savings of £1.52. Now apply that to say 10 products in the weekly grocery shop for savings of £15.20. Multiply that up for 52 grocery shops in a year for savings of £790.40 annually. Now invest those savings at the end of each year, while achieving a real after inflation return of 4% and in 10 short years you now have £9,489 in today’s pounds. Now multiply that across all elements of your life and before you know it you have a modified Tesco’s slogan – Every little helps me FIRE. * These were the prices at the time. They may be different today meaning a different Value decision might need to be made. This approach is the 'meat and potatoes' of what I've been doing to drive my grocery bill down to £80-£100 per month over the last year. My fiance and I buy mainly all 'value brand' items as we perceive them to have far greater value overall. I must admit that the taste in beans is fractionally different. I would quantify it by saying the value ones are 80-90% as good as Heinz's tin, but they're not three times better than the value ones, which is the price equivalent. Value all the way for us! I like the point you make that although this is only beans, it's not JUST about beans. It sets the mindset you create for all of your shopping and in turn the rest of your life spending. Therefore, I would argue to the 'Heinz Mob', it's worth making the switch and is important to do so. A person after my own heart. I've written a post about it previously but I started out with what I called 'The Lowest Priced Grocery Shop'. This required me to buy the cheapest of every item I required which sounds close to where you are. Any that met my taste requirements I stayed with including Value Beans. If it didn't I was allowed to go one level up. If that didn't meet my taste requirements I'd go up again. Rinse and repeat. Then to ensure I maintain the lowest priced shop if I ever see a new product that's lower priced than my current I give that a try. a sneaky and healthy way to make the value beans taste good is first cook some onions in the pot, add a splash of vinegar/bbq sauce/your fave seasoning and then add the beans - they are totally awesome and in my opinion better than the heinz ones! Plus, I didn't waste £790.40 per year, but about £10.40 on red onions and vinegar. Ah.. That concept of "Value" - I don't think we can really get past the fact that it really is different strokes for different folks. 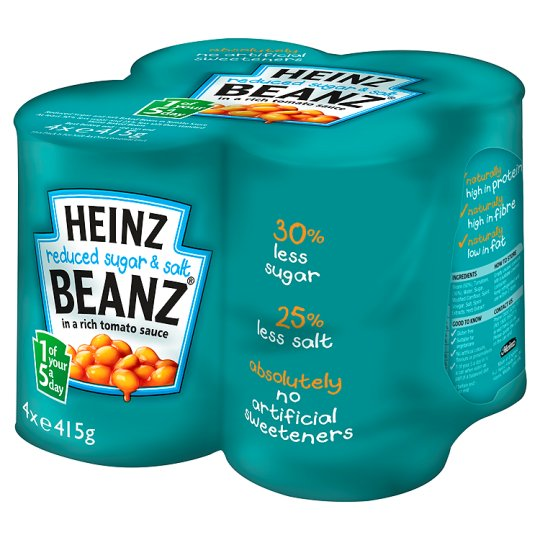 Maybe the person who buys the snap-pot of beans has 2 kids who love beans and like to have the snazzy little packets in their packed lunches and or she/he doesn't want to be "bothered" with opening tins, decanting the beans, storing the left overs for the next day and then washing up the containers when they're empty. Not things that would concern you or I, I suspect. Plus think of all the packaging waste, production costs and advertising overheads attached to the product. A sign of the times I'm afraid - wasteful and "throwaway." Sounds like your about as convinced in the Snap Pots value as I am. Ie there isn't any. I did forget about the lack of washing up benefit though probably because that is also of no value to myself. have you considered the irony in not buying branded products (unilever etc) whilst investing in blue chip dividend payers (unilever etc)? Fallacy of composition? Oh I'm well aware of the irony. I've been at this blog now since 2009 and I know how many regular readers I have. Trust me when I say that the Corporate Brand marketing machines are very much winning (actually it's more than winning, trouncing might be a better word) against my Save Hard mantra. We are but a few. Its a bit like energy - much easier to conserve than to generate. A bit strange for me (oldie) reading about this subject as, I must confess it is second nature - its what I do everyday without really thinking about it. It would not even occur to me to write about it. Maybe its a generation thing - I was always brought up to believe you live within your means - possibly the younger generation rely more on credit and there is less relationship between income/consumption so they maybe need to reconnect with the idea 'looking after the pennies and the pounds take care of themselves'. BTW, the plastic pots are much lighter than metal cans so cheaper for transport and more fuel efficient. Also can be put straight in microwave. Great post as ever RIT - good to see you back in the groove! Good point about "its what I do everyday without really thinking about it." It's like the make do and mend culture that once was and now seems to be nearly completely lost. Ah the old "straight in the microwave" USP. Nope, like you, that carries no value to me. Unless you have Cumberland sausages to hand, why would you want baked beans? They flatten the taste of almost anything else. Except beans on toast, I suppose. You have guessed correctly good Sir. Nothing better than beans on toast. Rice, beans, and grated cheese in alternating layers. I challenge you to not agree with me that it's better than beans on toast. try it! I was charging about my local Asda this morning doing similar. Mrs Z asked why I was inspecting bags of oats for their cost per kilo when surely I earn enough money to spend £2 per kilo rather than £1 per kilo. I'd be happy with a 100% return on my investments so why not take the same approach to costs (why pay 100% more for what are just oats). Like you say, it all adds up. Team Sky were onto something :). I imagine I followed a similar path as most when starting investing properly, fretting over the investing side of things (perhaps as an excuse for not getting started) when in reality I would have been far better sorting out my costs so that I could save more each month. Putting this into cash initially and leisurely reading up about investing over a few months would have been good. I suppose investing knowledge is "sexier" than being seen in asda trying to find the cheapest bag of oats - haha. - Step 2: Accrue cash in simple savings account while learning how to invest wisely. - Step 3: Invest in low expense, low tax, diversified tracker funds. I had a similar choice yesterday when I went shopping. Opted for the Tesco Tomato Ketchup at 59p rather than Heinz Ketchup £1.75. Some people may argue that there is a big taste difference but I only use ketchup to make marinades with. Like Huw, I've been using this approach to keep my grocery costs down, combined with taking a shopping list every time I go to the supermarket so I only buy what I need. Non-perishables are bought in bulk where I can, including stuff that can be chucked in the freezer, eg meat. I have to admit that shopping like this takes effort, I sometimes do feel that I just want to throw whatever into my trolley but no, willpower and focus has prevailed so far this year. Heinz Tomato Ketchup's main ingredient is tomatoes. For most of the value brands, it's some processed form of tomatoes. I've done the research and decided this was one area where it was best to stick with the more expensive branded good! Tomato Ketchup is one where after having tried it I don't eat the Value version (116g of tomatoes per 100g of ketchup). I've gone one level up and buy 'standard' Tesco Tomato Ketchup (175g of tomatoes per 100g of ketchup). It sounds like we're buying the same stuff given the bottle I buy is also 59p for 460g. Meat from a supermarket? Aw, weenie: supermarkets are for bog rolls and ketchup. Butchers are for meat. @RIT - yes, it's the Tesco standard variety of ketchup as opposed to Value. @dearime - the butcher isn't open when I'm doing my shop, usually on my way home from work. I could buy at the weekend but I'd have to drive and I try not to use the car if I can help it. What about the razors I buy - £1 for 10 - next to the four-blade Gillette jobbies at £2.50 each? Now I freely admit the dearer ones are better. Twice as good? yeah, three times as good? maybe, but they're 25 times the price! Or the Uncle Ben's rice my wife gets for £1.60 for 100g against the basmati rice I buy for £2kg. All small stuff really.... but I make sure the same thought goes into the more expensive things in life, that's where it really counts. I shaved free for 12 years just using up the supply of bic razors that my FIL left. Tesco? You fancy city slicker - Lidl all the way! I've found that by shopping at discounters is a virtuous circle. They stock less brands (because they're cheaper), which in turn encourages people to choose more fresh ingredients, which leads to healthier meals. Not saying that they don't stock rubbish (all shops do), but a quick nosy at my fellow customers and their conveyor belts is a lot more cheerful than the same exercise at one of the big supermarkets. Sorry, superfluous 'by' in the second sentence. Aldi: avoid their light bulbs - rubbish. Otherwise good to very good. Thanks for sharing Luke. I use Tesco as my local store is a full size store which I can walk to. Everything else within walking distance are 'local' stores. My dinner today at a steak house, New York, USA - Rib-eye steak, medium-well. Is life not worth more than a can of beans ? I find what has happened with this post today depressing . RIT - you have taken to responding to each post individually - I thought last week you showed signs of letting yourself off the hook about feeling you have to do that. You don't ! Also - 4 anonymous posts so far - BUT k and Nick at least lay claim to their's. Has anything changed as a result of last week ? Of course life is worth more than a can of beans. It was just a simple example that I'd seen that demonstrated my thoughts well (or at least I thought). So many people out there seem to know the price of everything and the value of nothing - that is depressing for me. Assessing value works all the way from a can of beans through to probably the biggest purchase most will ever make - a home. Value is one reason why I'm still renting although given my position in my FI journey that reason is starting to shift. This site is what it is because it's one of my hobbies and I enjoy it. It really helps me wind down and relax after a manic week. I especially enjoy the interactions with readers such as yourself. Also the Comments really seem to have ramped up in recent weeks and so in addition to interaction they are really making me think which is a good thing. I reply because I enjoy it and it also gives a bit back. I guess outside the virtual anonymous world I think of it as conversation rather than a lecture. Thanks for asking about last week. 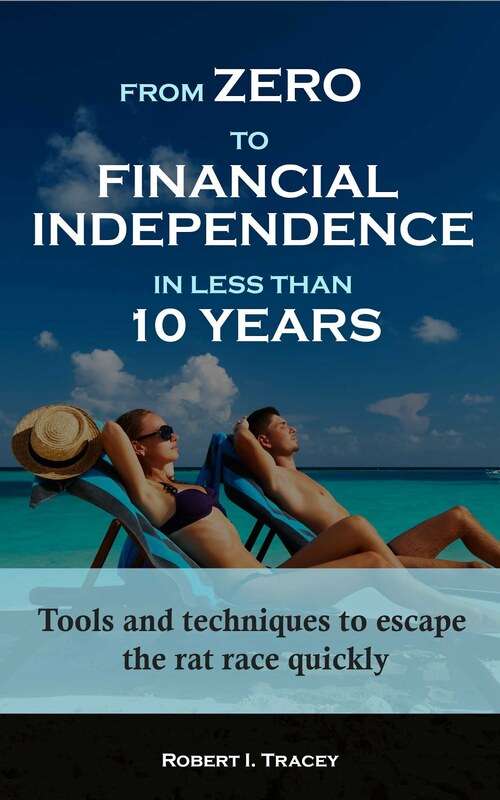 I have been contacted by some readers and we're working through the Financial Coaching. It's new for all of us so will be interesting to see how it plays out. Meanwhile I'm not going to do anything rash given the potential downside so for now it's working hard, staying the course re my FI journey while we experiment in parallel. It's ironic that you're commenting on the unnecessary convenience of beans in plastic pots when you are yourself buying processed convenience food, i.e tins of beans and bottles of tomato ketchup. If you want to save even money then buy dried beans in bulk and leave them to soak overnight. Then you can make a variety of recipes that aren't full of processed sugar and the other rubbish that you get in baked beans and ketchup - you are what you eat! Or perhaps this is something to look into when you're not spending all your time working. Good point BTS. I'd love to be making my own salsa from freshly grown tomatoes/herbs and indeed making all of meals from 'true' scratch. Within my wider family I know some who are doing exactly this. In the future I fully intend to spend more time with them to learn some of these techniques. - "eggs, fresh tomatoes and some rocket salad"
- "pan fried chicken with steamed broccoli and carrots"
- "a home prepared Thai Green Curry made from scratch"
Heinz tins have ringpulls and need no opener. Branston has spicier sauce but no ringpull. 1) Save the pennies and the pounds look after themselves. 2) Many people are more stupid and fashionable than you, and even get a little kick out of buying their usual foodstuff in a 'new' way. 3) I value quality food. Often, but not always, that comes at a price in terms of time or money. Beans should never EVER be microwaved. They seem to taste so much better when cooked in a pan on the hob along with some freshly cracked black pepper! We live in a consumer driven world and often get caught up in spending money when we could be saving it. I am guilty of buying an item for more than I planned or stopping for fast food or a pizza rather than cooking. I have learned to save money and have experiences rather than being a mindless consumer. So far I am happier and healthier - and I lost 30 pounds by cooking myself or simply having a salad or soup. Plus my bank account is beefier. I earn nearly 3 x more than the people I have seen buying the porridge pots and lighter life. yet my porridge is £0.79 per kg. The pots in the pound shops are £2 for a quid. so that's 50g for 50p. or £10 a kg. I can't find the exact info for the lighter life (it does have added vitamins though but a multivitamin tablet are pennies each. I think the sachets were roughly 40g each. so 160g for £8.50. is that £50 a kg??? The same goes with car tyres. I drive a puddle jumper were I can get branded tyres for £50. My colleagues drive bigger cars and 4x4's pay double and quardruple what I do. People have at their discretion what they pay for items. Most people seem to chose to pay over the odds for the "convenience". It is the beauty of the free market. 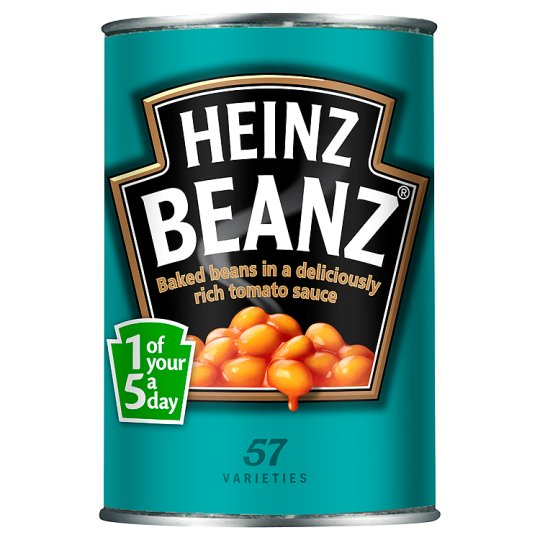 I'd rather work longer and have Heinz baked beans - but that's a conscious choice because I prefer the taste (I had enough years at uni eating value beans to know). The important thing I think is to ask the question "am I getting value?" rather than to choose highest quality or lowest price without considering.